Within the first week of college, there is usually an extracurricular activities fair held on campus. All of the school’s organizations attend so students can go to gather more information on the clubs they might want to join. 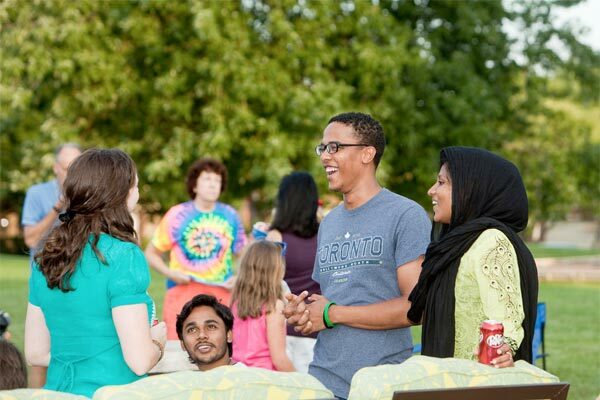 You will find everything from arts to multicultural to intramural to special interest groups. There are usually one or two representatives from each group at a table with a signup sheet. Going up to a table with an upperclassman staring back at you can be kind of intimidating, but don’t hesitate to signup for something you are interested in hearing more about. Don’t worry, signing your name doesn’t mean you’re signing your life away. It is completely commitment free! You will be put on an e-mail list to receive more information on the group itself, as well as dates for tryouts or information sessions. Always wondered what ultimate Frisbee was all about, but had your heart set on Model U.N.? Feel free to sign up for as many things as you want, and worry about making time for them all later. Once you get accustomed to your new schedule, you will figure out how much spare time you have, or don’t have, to dedicate to the club(s) of your choice. Keep in mind some clubs have more of a time commitment than others. Sports clubs or intramurals may require a few days during the week for practice, and then a day on the weekend for a game. On the other hand, student government or multicultural clubs may only have a weekly meeting. In the beginning, you may want to start off with a few activities, and if your next semester isn’t as busy, join another group or two. Getting involved on campus can also help with the anxiety caused by classes or tests, says Achumboro Ataande, President of the Pre-law Association at the University of Albany. “College may be hard at times, but it makes a difference when you have activities and groups where you can use your passion,” he says. 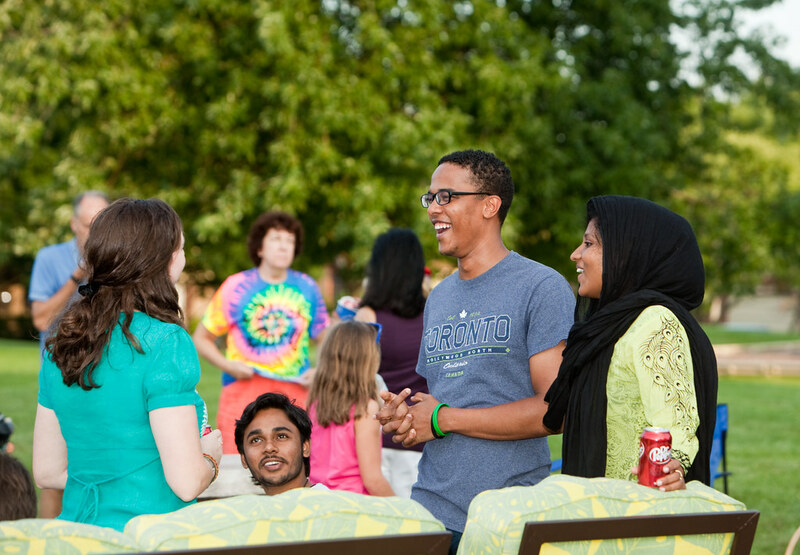 Joining clubs on campus is definitely a good way to meet new people too. You are surrounding yourself with people with similar interests, and you have easy conversation starters. Colleges offer a variety of activities to choose from, so the problem won’t be finding just one that interests you—it will be narrowing them down. And while it is natural for you to gravitate towards the activities you did in high school, college is the time to branch out. Try something that you aren’t so familiar with. If you don’t see anything at the activities fair that interests you, start your own club! Brent Papson, Assistant Director of Student Activities at Susquehanna University in Susquehanna, Pennsylvania, says his university “strives to empower students to create clubs that fuel their passions and encourage them to lead lives of achievement, leadership, and service.” That’s pretty much the attitude you’ll find at any other college or university! If you feel strongly enough about starting something you are passionate about, you can make it happen. Just find a few other students to help you, and together you can address the activities council. If you get enough interested students, you can be the founder of your own club in no time. More than just a pre-professional organization, the Pre-law Association tries to create a family atmosphere for pre-law students, says Ataande. Many students at the University come from miles away, so it’s nice to give them a sense of home. Of course, the association also provides learning experiences, such as seminars given by lawyers, LSAT preparation administrators, and deans of admission to help students become great lawyers, he says. This fall, the club is sponsoring a seminar hosted by a civil rights lawyer. It will be open to the entire university, but specifically will target ethnic groups on campus. The association wants to not only make an impact on the students that attend the seminar, but also those that hear about it through the grapevine, Ataande says. The group also plans to participate in community service events throughout the year, including Making Strides Against Breast Cancer and Relay for Life, in order to become more involved and raise awareness on campus. “The International Justice Mission (IJM) is an excellent organization that combines the need for social justice with our Christian faith,” says Jason Castles, the Director at the Office of Student Leadership Development at Union. Human rights professionals lead the IJM nonprofit, says Castles, but a group of students lead the IJM campus chapter. Fighting to help individuals suffering from abuses or oppression, the student members promote awareness of injustice across campus to gain support for the victims, he says. According to Castles, the group hopes to teach other people about how they too can pursue justice around the world in order to bring relief to those in need­. “From academic clubs to service clubs, we have a wide range of options for students,” Papson says. At Susquehanna, you can join the fast-growing Belly Dance Circle club, which is now up to 40 members in the last three years, or you can live in campus housing designated just for the Pokemon club! For those interested in communications and public relations, the Sterling Communications club provides real-life experiences by allowing students to assist clients of public relations firms in creating print ads, press releases, and more. Lastly, the Disaster Response Team prepares students with the proper techniques for responding to disasters in the local community and around the country, he says. With clubs like these, “students can apply what they learn in the classroom to cocurricular activities, which makes them even better prepared for the ‘real world,’” Papson says. Are campus clubs and extracurricular activities worth all this time and effort? The answer is simple—yes! Not only does getting involved on campus build your résumé, but it also gives you a whole new perspective and access to different opportunities that you wouldn’t necessarily have otherwise. After four years fly by, you may realize that many of your closest friends and best memories came from those extracurricular clubs. Besides, sometimes you just have to take a break from the homework and do something you really enjoy. Remember that students who are involved in at least one campus organization will show greater college satisfaction and are more likely to graduate. E-mail lists, Twitter, and Facebook groups can be great “low pressure” ways to learn more about a student organization on campus. Learn specific details about potential clubs and organizations, like how often they meet, the organization’s size, annual campus and community projects, dues, and other key facts. Organizations can be a great way to get experience in multiple academic areas! For example, if you love theater but are not majoring in it, consider joining a theater club instead. Remember that depth of involvement, not breadth, is what matters. Ask yourself: How will the organization be better because you were a member? How can you be a significant part of a project? Give your time and talents to only a select number of groups.